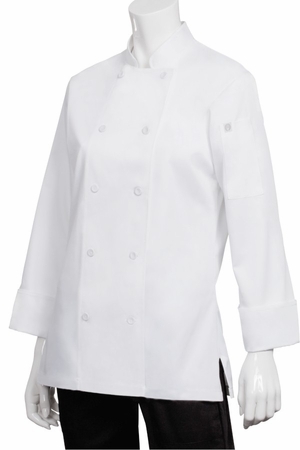 Our White Marbella Women's Chef Jacket is as traditional as it comes. From the Mandarin collar to the double breasted front and fold-back "French" cuffs, every aspect of this jacket is true to the original styling of a professional culinary coat. 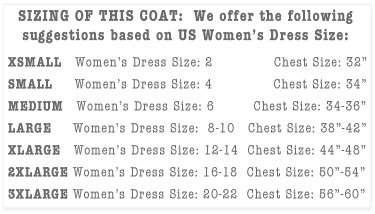 This jacket is femininely proportioned with a slight taper to the waist and a gentle flair at the hips. The side seam slits create a relaxed fit for ultimate comfort and performance. 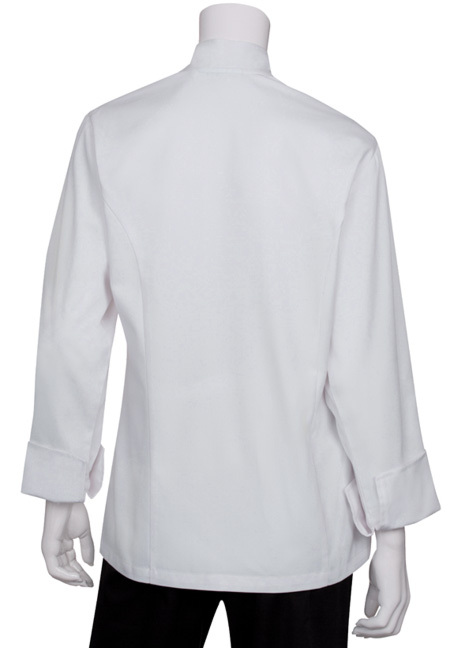 The left sleeve is suitably equipped with a divided thermometer pocket, accented with the elegant Chef Works "Fork" emblem. 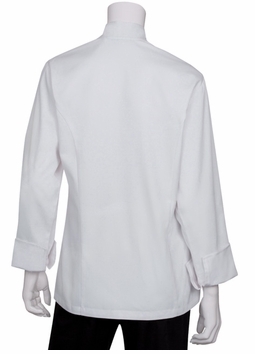 The blended poly/cotton fabric is easy maintenance and a durable 6.2 oz weight. While the cotton lends to the softness and breathability of the jacket, the poly yields a more stain resistant and wrinkle free material. This jacket can be personalized with custom embroidery. Choose from a wide range of thread colors and various font styles. Branding your uniform is easy with our corporate logo embroidery. Simply email us with your logo or design and we'll replicate it in stitches, please click here to Contact Us for details on this service.